Here in Michigan, we are proud to help each other and make earth a better place to live. If you too want to give back to the society and help people, pass the hearing aid specialist licensing exam here in Michigan to become a licensed hearing aid professional. Sean Forbes is a deaf American hip-hop artist who became deaf when he was just a few months old. Sean grew up playing guitar, drums, and writing lyrics. While his mother was a pianist, his father was a part of the famous band known as The Forbes Brothers. Sean Co-founded D-PAN, the Deaf Professional Art Network, with Joel Martin. This organization makes music accessible to the deaf and hard of hearing community by using American Sign Language to create music videos. Hearing loss can affect a person’s personal and work life. Social withdrawal and fewer job opportunities are some of the adverse effects of hearing loss. Therefore, it is important to wear hearing aids that help restore hearing loss and amplify sounds. It is imperative to find hearing aids that fit your lifestyle and your demands. This is the reason a majority of companies are opening up hearing centers nationwide. To fill in the vacancies, they need qualified hearing aid specialists. This is your chance to grab the opportunity and increase your earning potential. The Hearing Aid Academy offers 100% online curriculum which prepares you for the hearing aid specialist licensing exam here in Michigan. According to the labor statistics, a qualified hearing aid specialist can earn an average salary of over $58,000 per year. Moreover, some companies are ready to pay significantly high because of the increasing demand for licensed specialists. If you want to prepare for the hearing aid specialist licensing exam here in Michigan, you are not required to invest a large amount of time and money. By enrolling with the Hearing Aid Academy, you can prepare for the written and practical International Licensing Exam (ILE) administered by the International Hearing Society (IHS) in about 3 to 6 months depending on your speed. Also, the monthly payments start as low as $199. With this 100% online curriculum, you can work full time while studying. 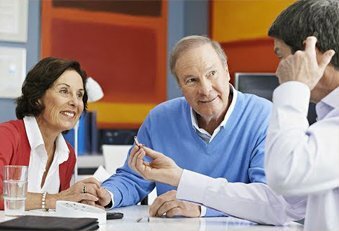 What Are The Responsibilities of a Hearing Aid Specialist? Working as a hearing aid specialist in Michigan, you will be responsible to evaluate people with hearing loss and help them choose the best hearing aids. As a qualified HAS, you will be responsible for providing the patients with a series of tests and evaluating the results to make sure the hearing aids fits and performs perfectly. As a qualified HAS, you can work at a retail location, open your hearing aid center or offer mobile hearing aid testing. You also have the option to earn more as for every set of hearing aid that you sell, you can generate up to $1000 as profit. So with a couple of hearing aids sale, you can earn a handsome amount of profit per year. The hearing health industry is in high demand and offers long-term stability. This fast-growing industry is not going to slow down anytime soon. There are many retailers such as Costco, Miracle-Ear, CVS Pharmacies, Walgreens and Sam’s Club, who are opening hearing centers around the nation. These companies are unable to find a licensed hearing aid specialist to fill in the vacancies. For every individual passing the hearing aid specialist licensing exam here in Michigan, there are five job openings. So take advantage of the opportunity and become a licensed HAS. If you are looking forward to starting a career as a hearing aid specialist in Michigan, register at the Hearing Aid Academy. We offer comprehensive and advanced online education program to help students prepare for the hearing aid specialist licensing exam here in Michigan. As a person with a fulltime job, you can’t go to a college to enhance your skills. However, an online education program makes it easy to learn whenever wherever you want. You can learn from the Hearing Aid Academy’s 100% online curriculum with just a working internet connection and a laptop. So with proper time management, you can easily schedule your online learning sessions and study at your pace. You can easily become a graduate within 3 to 6 months according to your convenience. Online learning is a cost-effective option as compared to a traditional college. The Hearing Aid Academy course is competitively priced and financial assistance is also provided to students who qualify for the program. The academy provides specialized education to help students pass the hearing aid specialist licensing exam here in Michigan. We are proud of high success rate and can help you clear your licensing exam at the earliest. As opposed to a 2 years course at accredited colleges and universities, the Hearing Aid academy offers you a chance to complete the online program within 3 to 6 months. You can easily work your way through the program and study according to your schedule and convenience. So if you are tired of your job and want to work for the betterment of people, prepare for the hearing aid specialist licensing exam here in Michigan. Get the skills you need to pass the international licensing exam by registering with the Hearing Aid Academy today!